What is all the buzz about regarding craft beer? Taste! Superior taste is the main reason craft beer has become so popular here in the U.S and around the world. Whether you’re craving an IPA, or lager, you’ll find a craft brewery close by that has you covered. Craft beer is local or regionally produced, relatively small batch beer that is sold to the public. It is made in a microbrewery, brewpub or regional brewer. Craft brewers are an unusual lot who put their whole heart as well as outstanding ingredients into producing unique and delicious brews. If you are searching for a “microbrewery near me”, you’ll no doubt find many choices that serve just the brew you’re looking for. This blog post is sponsored by Growler USA – Rogers,AR. What Is A “Craft” beer? By definition, “Craft” is an activity involving skill in making things by hand. In terms of beer, “craft” is a beer brewed by a small, independent, and traditional brewery. The complicated part of defining “craft” is categorizing which breweries fall into the over-simplified description of “craft.” For example, Sierra Nevada and Sam Adams are certainly not small breweries, but they were among the first to go outside the traditional “light lager” style that had become the standard. These early trend-setters are still considered craft because they continue to make great beer that doesn’t fall into a single simple category. They are still producing new and exciting styles of beer. In the late 1970’s, there were less than a hundred breweries…fast forward to today, and we have several thousands of breweries creating great beer. 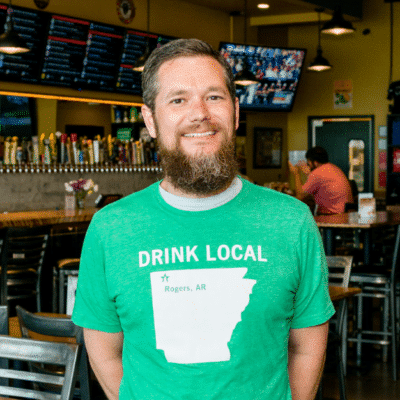 If you want to make sure you’re drinking a “craft” beer…drink something brewed locally! I Only Drink American Domestic Beers…Do You Have Any Craft Beers I Will Enjoy? Yes! Most common domestic beers are light-bodied, pale, low alcohol, bubbly lagers for a reason…they are easy to drink. Today’s craft breweries are also making delicious light-bodied lagers that are not only easy to drink, but are often made with high-quality, locally sourced ingredients. If you want something with low bitterness and a clean aftertaste, try a lager, or more specifically, look for a pilsner. International Bitterness Units…sounds complicated, but it’s just a gauge of a beer’s bitterness. In reality, the IBU level can be misleading. It is supposed to be a general guideline for taste, with lower IBUs corresponding to less bitterness, and higher IBUs for more bitterness…however, there are factors that can mask the bitterness. A malty 50 IBU beer will be less bitter than a crisp 50 IBU beer. India Pale Ales (IPA) tend to have higher IBUs because they’re brewed with a lot more hops than other styles. What Does India Have To Do With an India Pale Ale (IPA)? In the late 1700’s, a London brewer figured out how to ship beer all the way to the British troops in India without spoiling. Higher alcohol content and the addition of hops acted as a preservative to the beer during the long voyage. The British troops developed a taste for the hoppy beers, and they demanded the “India” pale ale when they returned home. The India Pale Ale has gone on to become the most popular style of craft beer. Nearly every modern craft brewery produces one or more IPA’s. Would you like to experience all kinds of Craft Beers? We Have Over 100 Craft (Many Local) Beers on Tap and We Invite You To Come And Find One You Love. There’s a reason Growler USA is known as America’s Microbrew Pub. It’s not just our 100 taps dedicated purely to the best local, regional, and national craft beer. Or our full lineup of classic American pub-style offerings, designed to pair perfectly with our brews. It’s the experience we create for each and every person who walks through our door. 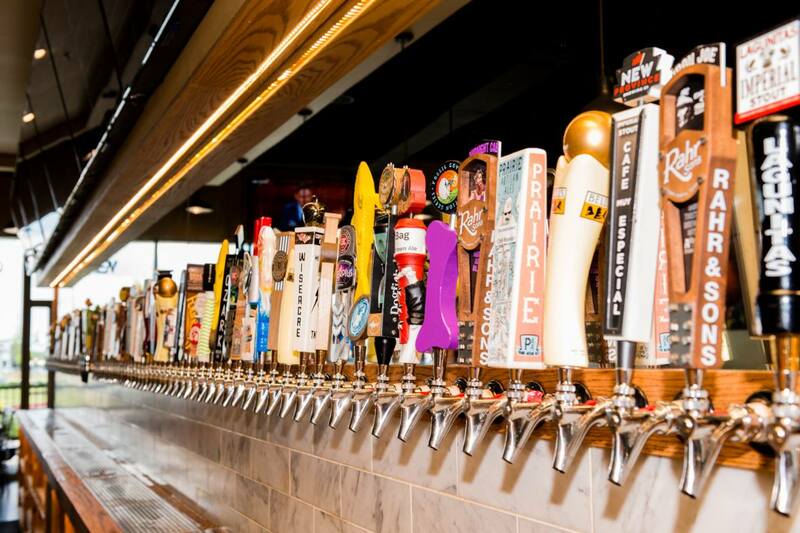 We’re a place where everyone from the beer novice to the beer expert (or those who aren’t beer fans at all) will find something to pair with their palate, and if they can’t, our servers are happy to help guide the way. We even reserve a few of our taps for draft wines and hard ciders for a little something different. It’s our way of creating a space where all feel welcome to come together for good times. Cheers, Rogers!